God has ingrained the love of music into David’s very being. Music comes naturally to him and he knows it is what God wants him to be doing. David’s heart is to lead authentic, passionate worship. His passion for worshipping the One true God is contagious, especially to a generation zealous for the Lord. Leading worship gives David the opportunity to declare the splendor and glory of God through music and song. Born and raised in Sellersburg, Indiana, David Smith knew as a child that he wanted to lead worship. From an early age, leading worship was a desire God gave him. David was first introduced to his signature instrument, the drums, at the age of ten. As part of a musical family, David gravitated towards music of all kinds early on. Although he didn’t read much music, he became adept at playing the drums by ear. His first experience playing on a worship team was at the age of 14, when he began playing drums on his church’s praise team. David has always enjoyed music, and he comes by it honestly. 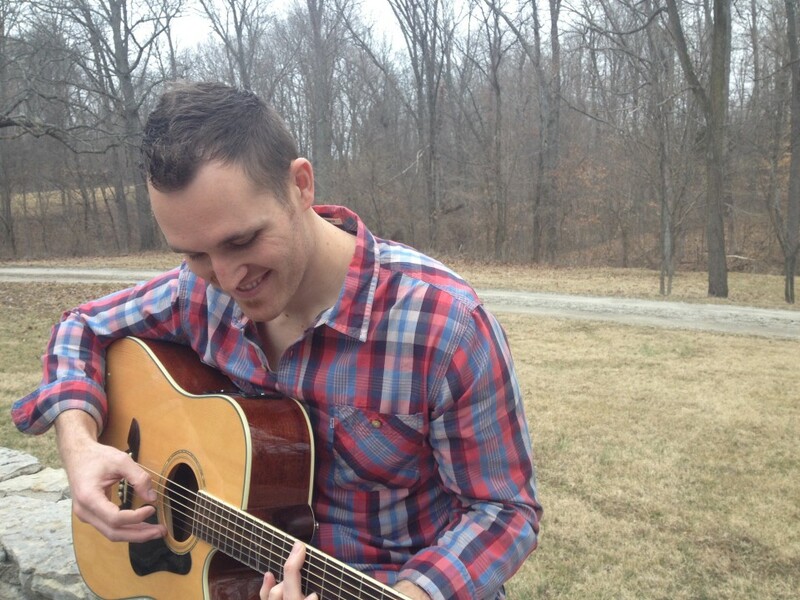 His father, a worship leader for 25 years, sings and plays acoustic guitar and piano. And his mother has sung beside her husband for years, and also plays acoustic guitar and piano. Both of David’s sisters sing, one in particular plays piano and sings on her church praise team, and his brother dabbles with the guitar. David has been around music, specifically praise and worship music, since infancy. He was involved with choir and percussion throughout junior high, and eventually became a drummer in a band, Nostalgic. Although the band members grew up and went their separate ways in high school, David still attributes that time in his life to learning new melodic skills and honing his musical ear. When David was 17, he began playing acoustic guitar. And his first experience leading worship was in high school chapel. Every Wednesday David would lead his peers in love songs to the Savior. It was also during David’s high school years that he met his future wife, Mandi. The high school sweethearts later married after graduating from Asbury University in 2009. While attending Asbury, David played drums at various church services and events with different praise groups, both on and off campus. It was also while David and Mandi were attending Asbury that they would intermittently come home and visit Mandi’s home church, New Bethel. The church was in a time of “musical transition” of sorts, and it was during this time that David started occasionally playing guitar and leading worship at New Bethel. Upon graduating from Asbury, David and Mandi moved back to Southern Indiana and made New Bethel their home church. In 2009, God called David to lead worship regularly at New Bethel. The worship team then began to expand, first with a keyboardist, then adding a drummer and bassist. David feels blessed to be an instrument for Christ and is humbled by what God has done, and is still doing, at his church. He is honored to lead the congregation into the throne room as the worship pastor at New Bethel. David leads worship at various conferences, retreats and local events throughout the year. David and Mandi have two young children, Paxton David Ley and Paisley Arabella Rose. The happy family of four currently resides in Scottsburg, Indiana. Copyright © 2019 New Bethel Church – Lexington, Indiana. Powered by churchthemes.com.